Maniac is a new Netflix mini-series about two strangers drawn to the late stages of a mysterious pharmaceutical trial. I’m mainly intrigued because of how this reminds me of Inception (2010). I’d also certainly have been more excited if Fukunaga was for sure the writer / director but according to IMDb he simply executive produced the series. Maniac also stars Sonoya Mizuno, Sejal Shah, Sally field and Billy Magnussen. Don’t Worry, He Won’t Get Far on Foot is the new Gus Van Sant (Good Will Hunting (1997) co-written and directed movie / biography about John Callahan, a young man who became paralysed after a car accident at age 21, and turned to drawing as a form of therapy. This one looks like an impressive Joaquin Phoenix performance. Excited to see what Jack Black and Jonah Hill bring to the film; two comedy men who are also good in dramatic roles. Having not heard of John Callahan untill now, maybe this movie treat us to some great drawings. Lastly, I Just randomly noticed that the three main male actors have ‘J’ names. Beth Ditto and Udo Kier also star. 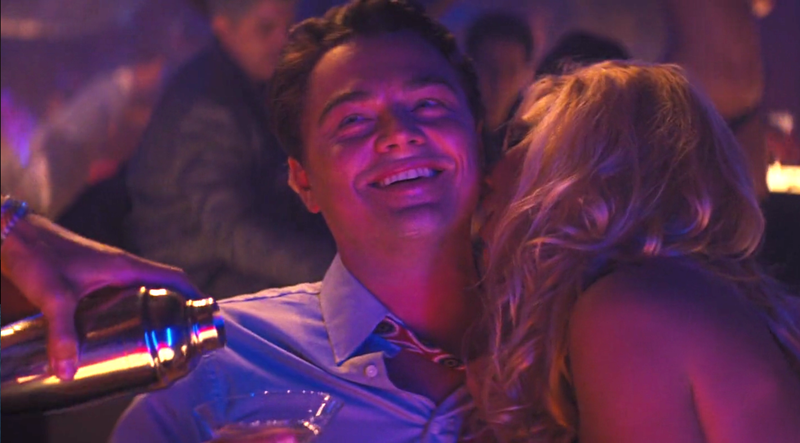 THE WOLF OF WALL STREET (2013): Who Knew Greed Could Be So Entertaining? 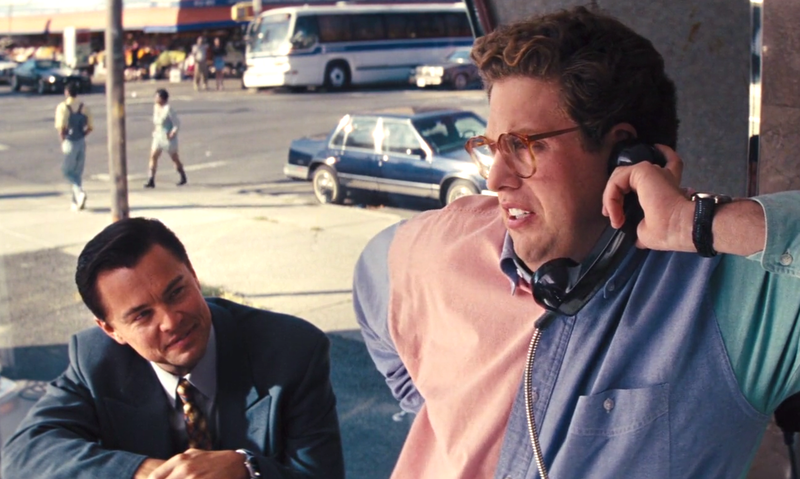 Martin Scorsese’s Wolf Of Wall Street (2013) is absolutely dripping with testosterone, not that this should be surprising. Typical of all other popular accounts of life on Wall Street, there’s plenty, and then some – of the expected excess and debauchery. Based on a true story about the rise and fall of Jordan Belfort (Dicaprio’s character), the audience, particularly the ambitious will relate to the protagonist’s determination to succeed, as well as get some insight into the many ways the American dream can go very wrong indeed. With plenty of well written male banter (one of my favourite things), and great performances all round, you will spend a surprising amount of time laughing. Leonardo Dicaprio and his more than qualified supporting cast absolutely deliver. 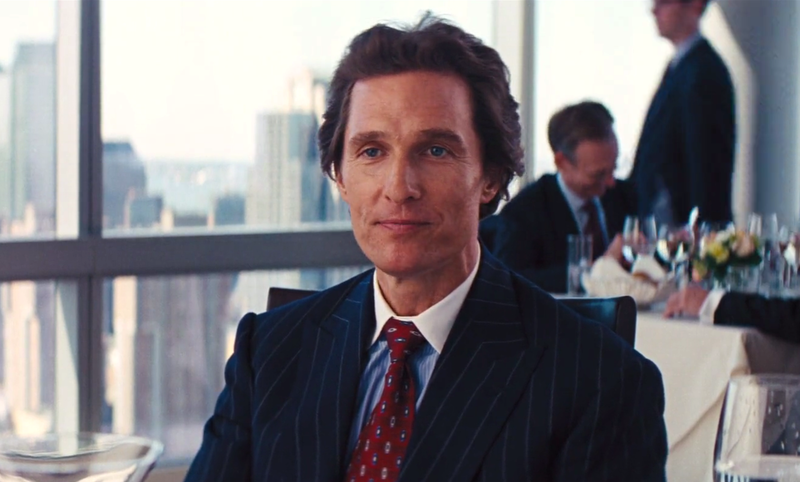 The Mark Hanna character played by Matthew McConaughey is so entertaining that you’ll find yourself wanting more. Jonah Hill, an Actor better known for comedy hits including Seth Rogen and Evan Goldberg’s Superbad (2007) is great as Donny Azoff. Azoff’s teeth and hair may be highly questionable, but you’ll see that Hill’s performance certainly isn’t. Girls will definitely enjoy the film but I have a strong suspicion that boys will love it more.